The organizers of the 2016 Plone Digital Experience Conference, Jazkarta and Wildcard Corp., have declared this year’s event a resounding success. 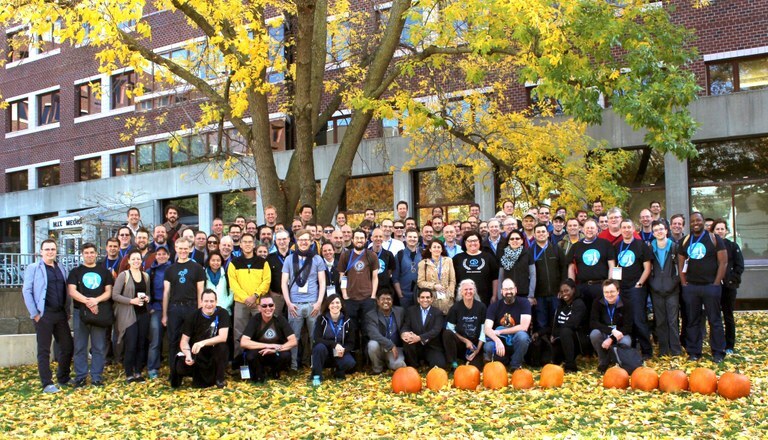 Held in Boston, Massachusetts, USA, October 17-23, the conference boasted 150 Plone, Pyramid and Python developers from all over the world, with some coming from as far as Thailand, Bangladesh, India, South Africa and Australia. Supported by Cars.com and Six Feet Up, the event started with two days of free training classes on topics like Mastering Plone, Plone Deployment, Plone 5 Theming, Custom Workflows etc. held around the city at prestigious venues such as MIT Media Lab, Landmark Centre and District Hall. The conference itself spanned three days and offered aplethora of keynotes, presentations, lightning talks, and Birds of a Feather sessions and ended with two days of sprints, which are self-organized team work around documentation, training, marketing, and coding. Next year’s Plone conference will be held on October 16-22, 2017, at University Politècnica de Catalunya - Barcelona Tech in Barcelona, Spain, hosted by longstanding members of the Plone community and Plone Foundation: Victor Fernandez de Alba and Ramon Navarro Bosch. For full information about the trainings, keynotes, talks, demos, and sprints, see the Plone Digital Experience Conference 2016 website.